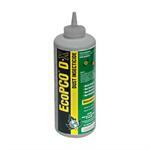 EcoPCO ARX is unscented and procides Quick knockdowns and kills with added residual protection! This aerosol insecticide is even compatible with all the popular delivery systems. The insecticide itself is Non-staining and free of chlorofuorocarbons (CFC's). This aerosol insecticide is great for Indoor OR outdoor use and kill s variety of insects and other bugs including: Ants, carpet beetles, carpenter ants, carpenter bees, centipedes, chocolate moths, clover mites, cockroaches, crickets, drug store beetles, earwigs, elm leaf beetles, flour beetles, millipedes, pillbugs, powder post beetles, scorpions, silverfish, spiders, termites, trogodermas, and wasps! 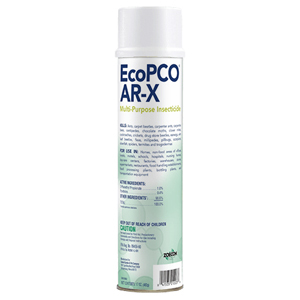 Eco PCO Ar X uses 2 phenylethyl proprionate and pyrethrins making it another of our green pest control products! Would you like to see the EcoPCO ARX Aerosol Insecticide Label? How About The EcoPCO ARX MSDS sheet?